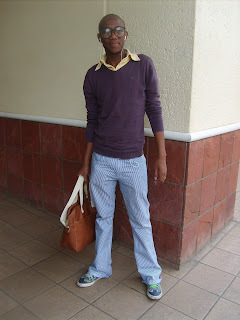 While looking around Joburg for a street style feature we noticed that the guys are making a much more concerted effort than the ladies! Nicholas Kirkwood- fine arts student and Cordwainers (also home of Jimmy Choo) graduate, has made an incredible debut- showing for Belstaff, Tommy Hilfiger and Philip Lim on the Spring 2008 runways. I am in love- from his Autumn Winter collection! 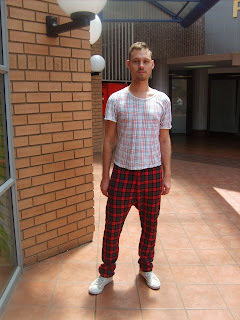 Talented young designer Tiaan Nagel has opened his new store in Parktown North, with stylish interior design by Tonic. Tiaan Nagel and Lindie Ferriera, for whom he once worked. 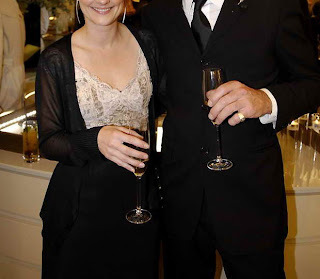 Tonic co-owner Phillipe van der Merwe and his wife Carmen. Its really feeling like Spring in Joburg. I love the heels and floral print jacket! Me and my date jewellery designer Pierre- he made my earrings and his signet ring! It's finally open! Went to the Burberry store launch last week in CT. The champagne flowed, and the crowd seemed to wear predominantly black- those Capetonians! Luckily I chose to save my orange vintage sixties dress with matching ostrich shrug for a different occasion, as it may have stood out a little too much! I need a Burberry trench, desparately! Yesterday we shot beauty for the December issue, getting all inspired and geared up for the party season! Hair maestro Saadique was on top form all day, with some wonderful, inspirational hair ideas while ELLE fashion intern Phahamiso was the on call as hair assistant using some dangerously hot old school rollers. Harvey Nichols' window display for London Fashion Week is an inspired work using a complex array of coat hangers to create dinosaurs. They stretch across several windows at the famous Knightsbridge store. One of my favourite South African designers- although he is no longer based in SA- is exhibiting at The Royal Academy of the Arts in London. 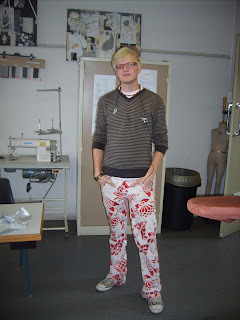 He is a master patternmaker that studied at St Martins and is making a huge splash in London and New York. Alexander uses geometry and stylised structural silhouettes to create a darkly organic form. All I can say is that I wish he was available here, these draped and pleated dresses are truly beautiful! The latest in fashion from the world's biggest-selling fashion magazine. ELLE South Africa's elite fashion team cover trends in fashion, and report live from fashion weeks around the world - including our very own Sanlam South African Fashion Week. The world's number one fashion magazine.